Neither Paul nor I were inclined to believe that this mushroom was quite as magical as advertised. (It also supposedly cures cancer and HIV.) 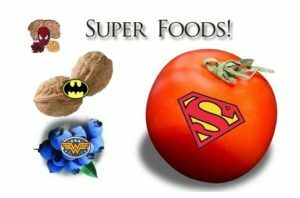 But claims about extraordinary antioxidant powers–whether true or not–are often trotted out as proof a food’s superpowers. We’ve been trained to believe that a food with greater antioxidant capacity is clearly better for you. But is it, really? So, don’t be too dazzled by claims that a given fruit (or tea or mushroom or shake mix) has an ORAC of 52 kabillion. It’s just not that big a deal. In fact, there’s some evidence that too many antioxidants can actually be harmful. See also: Can you get too many antioxidants? Is “Big Coffee” buying off nutritionists?